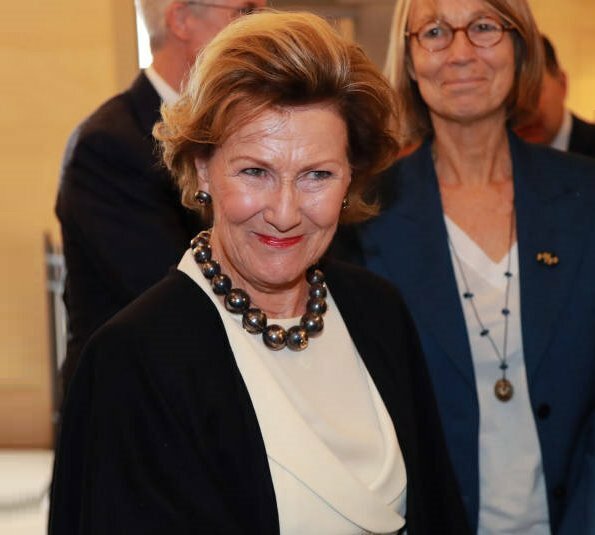 On September 23, 2018, Queen Sonja attended the opening of "Forces of Nature" exhibition held at National Ceramics Museum in Sèvres located in the southwest of Paris. 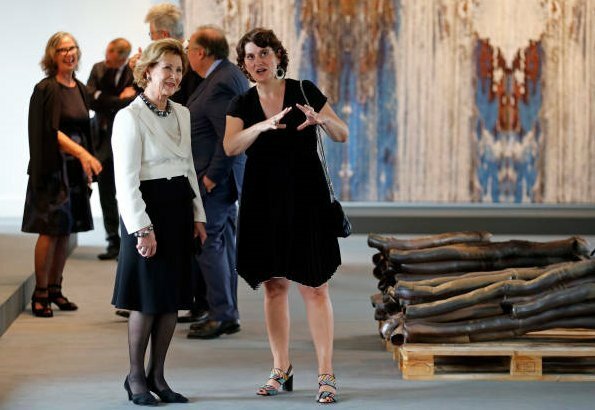 The exhibition includes 65 works of Norwegian artists Kari Dyrdal, Torbjørn Kvasbø and Marit Tingleff. 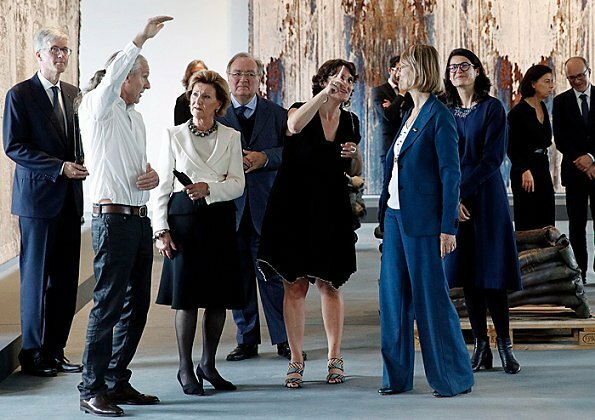 The exhibition is held in cooperation with Norwegian Crafts, KODE Art Museum in Bergen and Sørlandets Art Museum in Kristiansand. Wonderfully elegant outfit. Hard to believe that this lady is in her 80s. She is marvellous. Q Sonja is a very active lady, she is all way's on the go.Her outfit is simple but elegant,love her necklace.She looks wonderful for a lady of 81. Elle est toujours belle est jolie. She's lovely and elegant for someone who is 81 years old. This exhibition sounds very interesting. 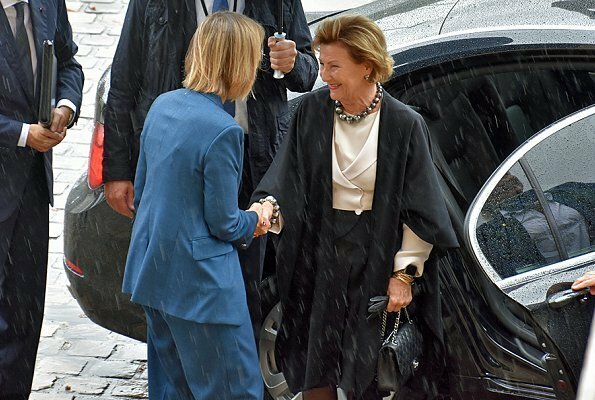 Queen Sonja is elegant and beautiful as always! Such a wonderful smile.